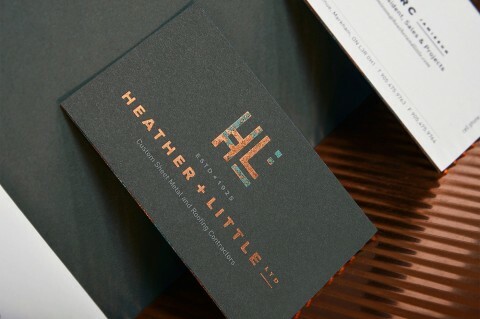 As a letterpress paper goods company, we’re all about the power of handwritten correspondence and quality printed materials. 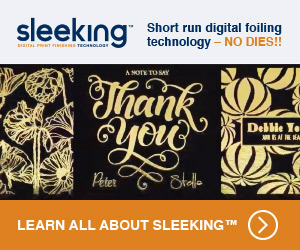 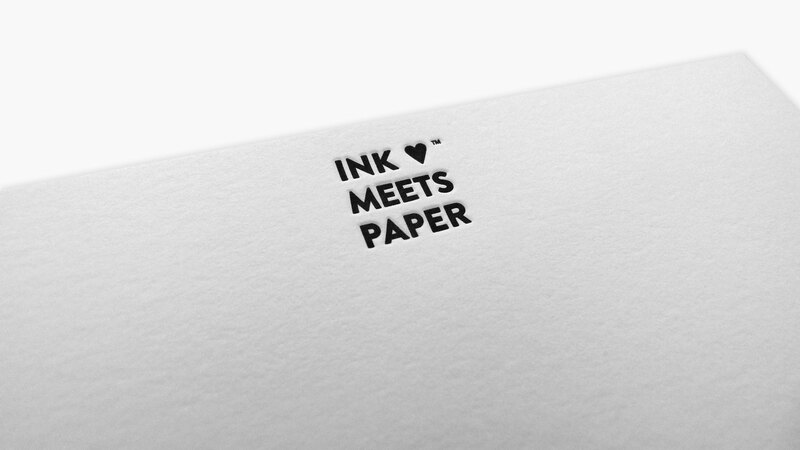 Nothing beats the feeling of receiving a beautiful note in our mailbox, and design and letterpress printer Ink Meets Paper is committed to reproducing that feeling again and again. 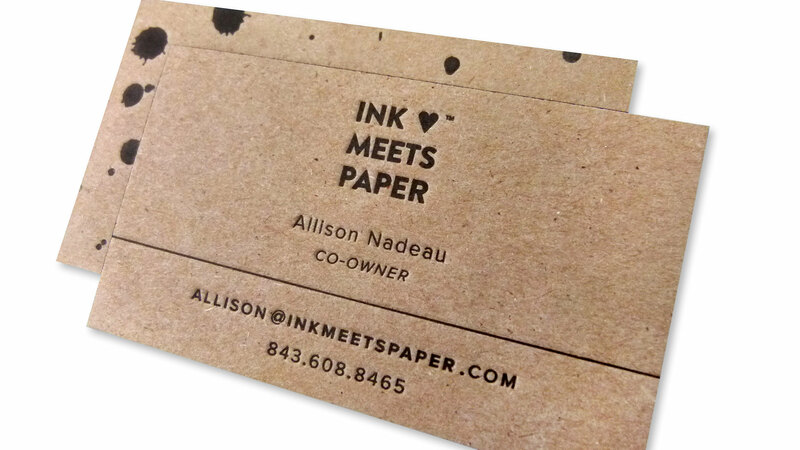 Co-owner/creative director Allison Nadeau and co. took their recent domain change to inkmeetspaper.com as an opportunity to create stationery that reflected their passion. 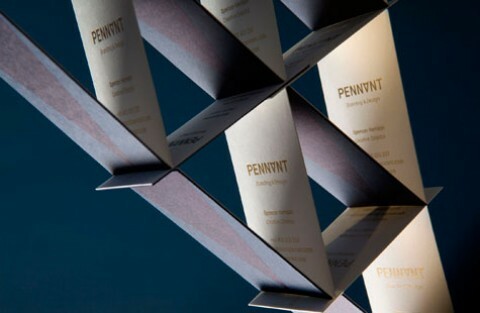 Using a recycled 50 pt. 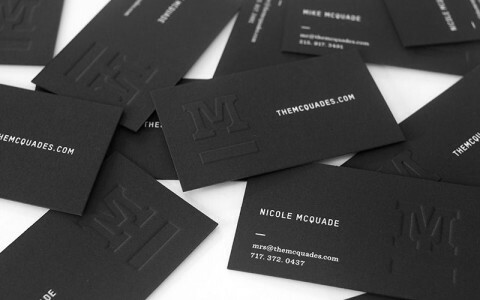 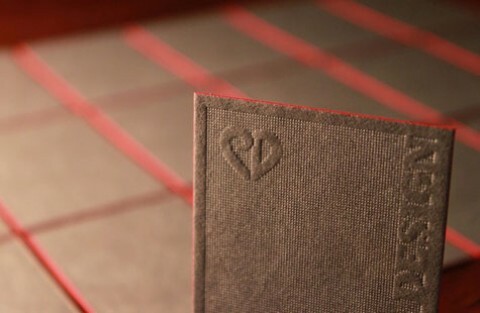 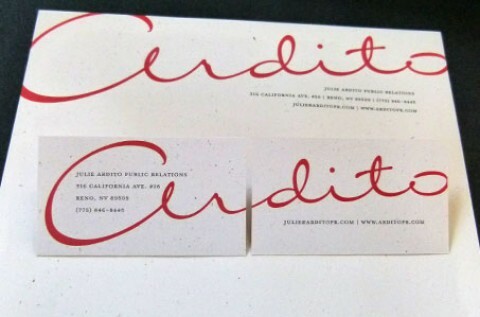 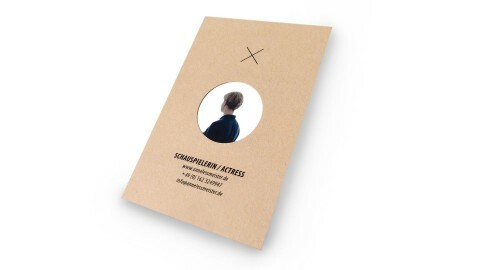 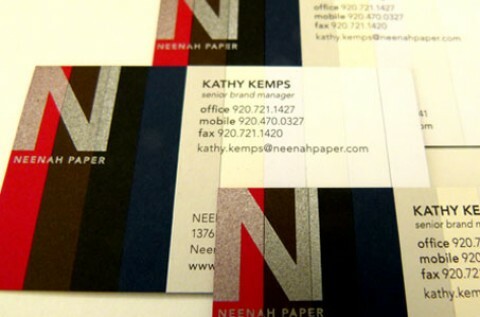 kraft chipboard, the classic black imprint on the business cards is accentuated by beautiful black-edge painting. 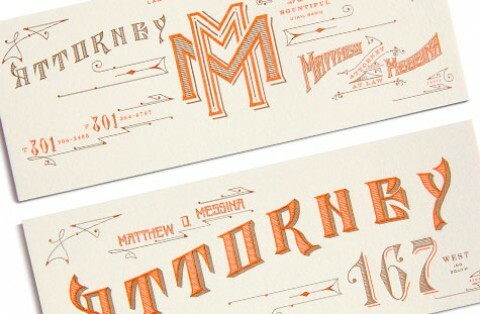 The clever ink splatter patterns on the back are carried throughout the stationery set, including the envelope liner produced on a Speckletone 70 lb. 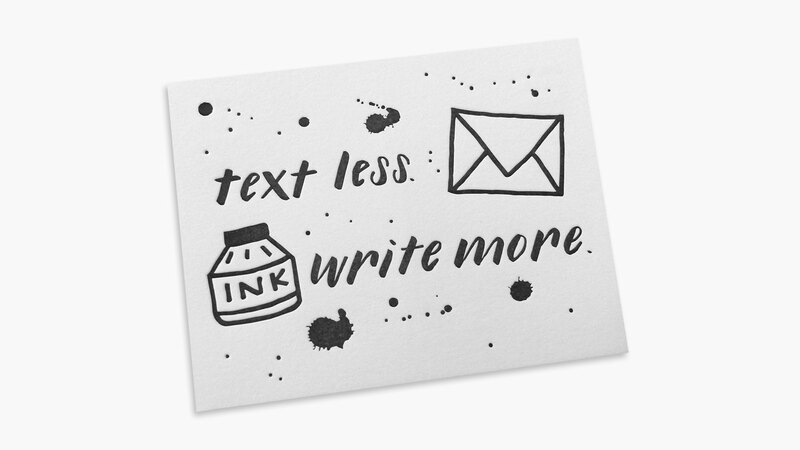 Text from French Paper Co., and those adorable A2 notecards – Nadeau’s favorite. 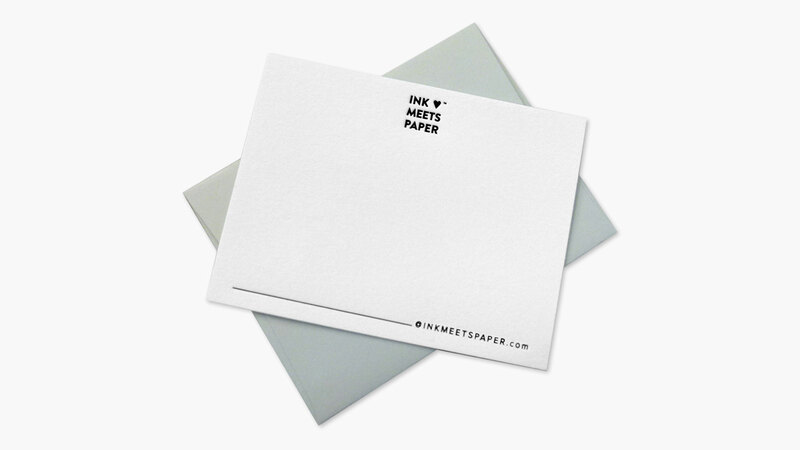 As this simple yet satisfying stationery design proves, it’s not about what happens when ink meets paper, but what you make of that union thereafter.